This week’s blog is a guest post from one of the smartest minds out there in the strength and conditioning world; Mr. Tony Gentilcore. This article breaks down the reasons you aren’t making the progress you’d like and how to put together a proper workout routine. Hope you enjoy! 2. People who don’t turn right on red. 3. People who don’t prioritize getting stronger. As a strength coach, this last one is what really gets me irritated—and for good reason. To be blunt: Strength is kind of a big deal. It’s what allows us to pick up that bag of groceries off the floor without blowing our back out; it’s what keeps us from getting injured on the playing field (whether a professional athlete or weekend warrior); and it’s undoubtedly the foundation behind many of the “qualities” we’re chasing in the weight room (be it speed, agility, power, or just looking good with our clothes off). Unfortunately for some, despite knowing better, and despite their best efforts, they’re just not getting stronger. No matter what routine they follow or how many days per week they hit the iron, they’re just not getting any results—frustrated, they’re still using the same weight now as they were weeks (if not months) prior. Are you making the mistakes below? While it’s the most obvious place to start, surprisingly, there are many trainees who fail to grasp the notion that progressive overload is key when it comes to strength. Simply stated: The body will adapt to any stress placed upon it, and in order to get stronger, you need to make certain that you force the body to do so. Many know the story of the Greek god, Milo, who, as a young boy, made it a point to carry a small heifer over his shoulder every day. Each and every day, for years, Milo would carry the heifer, and as the heifer grew and became a full-grown cow, Milo, too, grew. So much so that stories of his strength have lived on forever in Greek mythology. 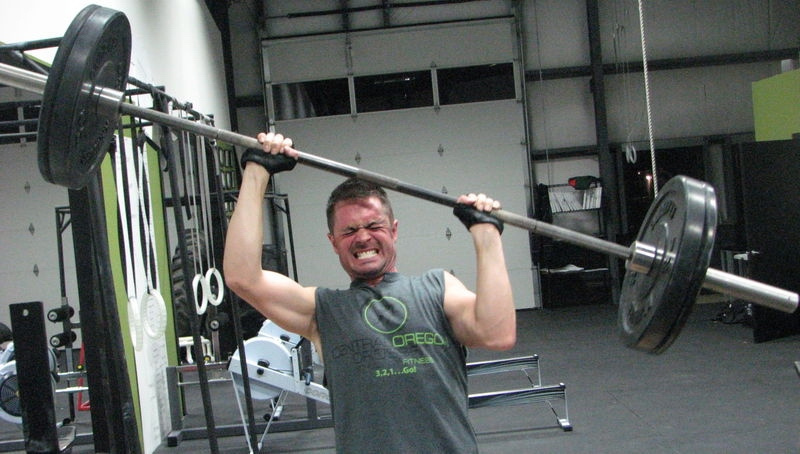 There are numerous ways to approach progressive overload and make any exercise more challenging. Adding more sets, decreasing rest intervals, and increasing range of motion are some of the more common components. The most evident, however (and in many cases, the most neglected), is to simply increase the weight or load of an exercise by adding a little weight each and every week. It doesn’t have to be more complicated than that (really!). We’re not trying to do calculus here. It could be as simple as adding five more pounds to the barbell on your squats or maybe just grabbing the next heaviest pair of dumbbells on your next set of presses. Either way, unless you’re making a concerted effort to challenge your body and force it to adapt to heavier loads consistently, you’ll never make much progress. We live in a society that celebrates excess. It’s not uncommon for someone to own more than one car or even more than one house. Likewise, when it comes to training, many people are of the mentality that more is better. If training three days per week is good, then logic would dictate that training every… single… day… until you can’t feel the left side of your face or you cough up your spleen (whichever comes first) must be even better, right? Wrong. Fatigue will mask an individual’s true fitness level. In other words: Making yourself tired for the sake of making yourself tired and accumulating more and more fatigue is a tried-and-true recipe for zapping your strength (and performance). As an example, let’s say we go ahead and figure out what your one-rep max is for the deadlift. Afterward, you go out and run 10 miles. Upon your return, we decide to re-test your deadlift. What are the chances you’ll even sniff that original number? My guess is you’d have a better shot at winning the lottery and getting struck by lighting in the same day. To that end, it’s often beneficial to implement structured de-load weeks where the goal is to allow the body to rest and recover. There are a multitude of ways to approach a de-load week: Decrease total reps, decrease total number of exercises performed, omit direct spinal loading, maybe even take a week and perform outdoor activities rather than hit the gym. The point is, in order to make consistent progress; it’s imperative to give your body a break every now and then. If people learned to place a priority on those six movements and did away with all the “fluff” (Really? Seventeen sets of bicep curls? ), they’d be amazed how much improvement they’d see. In order to get strong, you need to perform movements that will force you to get strong. Oftentimes this entails people going outside of their comfort zone—and not only learning the basics but mastering them. You should put your heart and soul into that first movement of the day. Literally you should hate life. Remember: Each week, try to add just a little weight. After that, do whatever you want. Do some handstands for all I care. Just, for the love of God, perform one of the six patterns above to start each and every training session, and I guarantee you’re going to get stronger. Lift Heavy Stuff. Like, a Lot. I don’t know who made the golden rule that every exercise, every day, had to be done for three sets of ten reps (3×10), but it needs to stop. Instead, I like to advocate different set/rep schemes that have more of a strength focus—anything between 3-5 repetitions. The options are boundless: 5×5, 4×3, 4×4, 8×3… It doesn’t matter. There are no rules! All that matters is you get outside your comfort zone and start utilizing set/rep schemes that will force you to get strong. Using an example, lets say every Monday is “deadlift” day. Lastly, and this is a point I won’t spend a lot of time on: If you want to get better at chess, you hang out with people who play chess. If you want to get better at computer programming, you hang out with people who program computers. Likewise, if you want to get stronger, you need to hang out with people who have the same passion as you do, will push you to get better, and more importantly, are much, much stronger than you. Even if it’s only one day per week, go out of your way to train at a facility that prides itself not on the number of treadmills or fancy gadgets it has, but rather encourages its members to use chalk and throw around some weight. Train in that sort of environment, and the sky’s the limit! Originally published April 2012. Updated November 2015.